Anthony originally started off as sounding like a typical salesperson. 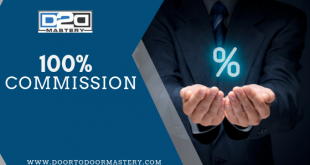 Basically, picture someone knocking on the door, being the only person that is talking while regurgitating as much information as he can in hopes of a sale. In the meanwhile, not knowing that this is happening and in hopes that the customer says yes. Here is the problem with that, there is no process, no system. You then get the sale and everything falls into place, or so you think! Think about the complicated process of putting a vehicle together, well, you have to go in there and systematically put the parts together. The same can be applied to the process of knocking on doors. The reason why you are getting rejected at the doors before you even move in is that of your opener pitch and of certain things that you’re doing. Reverting back to Anthony, he was able to get over phase one and was able to get others to engage and communicate with him at the doors. Now, don’t you wish you can be there at that phase?! Well, you can! Once you reach that phase you’re going to stumble on the following question from customers, “this is too good to be true! What’s the catch?”. Anthony is developing as a door knocker and has been able to get to the opposite side. He has opened a dialogue between himself and potential customers. Now when Anthony knocked on the doors he would get “not interested” right away. Your getting this for a specific reason and I am going to tell you right now, “not interested” does NOT mean “not interested.” Anthony went from nowhere to getting somewhere with the customer. Ask yourself, on a scale of one to ten, how many people are you actually engaging with? You should be closing sales with one in every five people you have been speaking too. If you’re doing solar and you should be tracking this, every fifth customer should be a sale! At the beginning you should strive for twenty-five potential customers, closing a minimum of one sale. If you’re not attaining this target number, its because you are lacking some skills. These skills can be acquired! 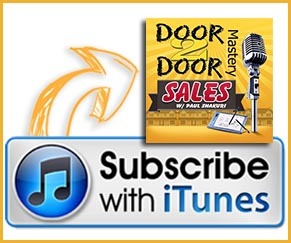 Many of my webinars and my webinar on opener pitch and my three free video series can help you master door to door knocking. Now back to “this is too good to be true! What’s the catch?” Anthony, what you are doing is building up the value that is extremely high right now and this is where you want to be. So the problem arises when you throw out the price. People tend to pull back and may ask you to come back another time. You’re doing a great job but as you raise the value, you slowly have to drip. As I talk to the potential clients I let them know there’s going to be a few costs of this valued product or service that we see eye to eye. “I don’t want you to worry, the cost will not affect your way of living and will be of a minimal amount to the value being offered”. If your selling products or services that require a large cost, then you need to go to wealthier neighborhoods to make that sale. 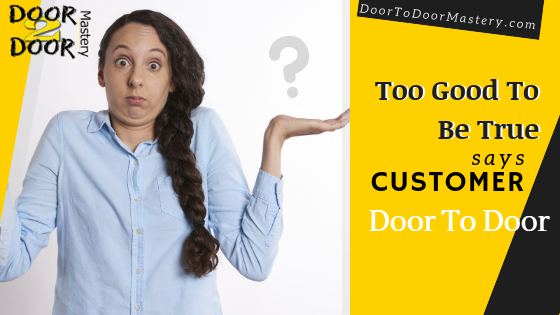 Most likely you will find services are sold door to door. Everything is done right there and then. Solar, home security, lawn care and so forth. Anthony continues to say that when he rebuttals and provides a price quote the customers are not interested. The value was built up, but Anthony waited way too long before giving them the cost. I know this because this is what I did when I first got started. You prep them, build them up in understanding that there will be a minute cost. Build that open and trust relationship. Now don’t bring up the cost too early. You’re doing great Anthony, when you are doing your features and benefits inside the house, don’t be afraid to say the minute cost and be confident. Don’t be afraid to ask for money and get them to sign on the dotted line. 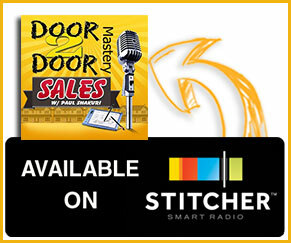 If you have questions, email them at support@door2doormastery.com and we will answer any of the questions you might have. Go get it! Make those sales! Take care! Boom!